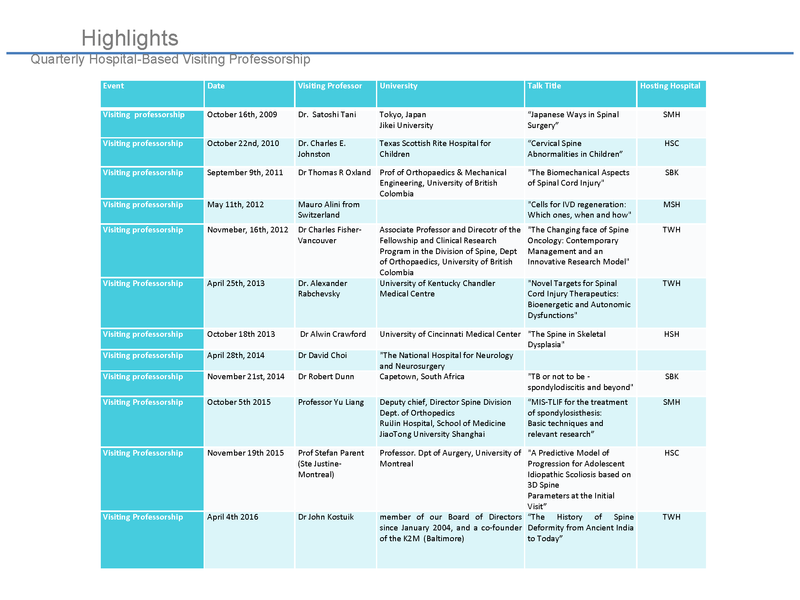 Collaborating with the main spine affiliated hospitals The University of Toronto Spine Program holds 3 to 4 Hospital-Based Visiting Professorships each year. 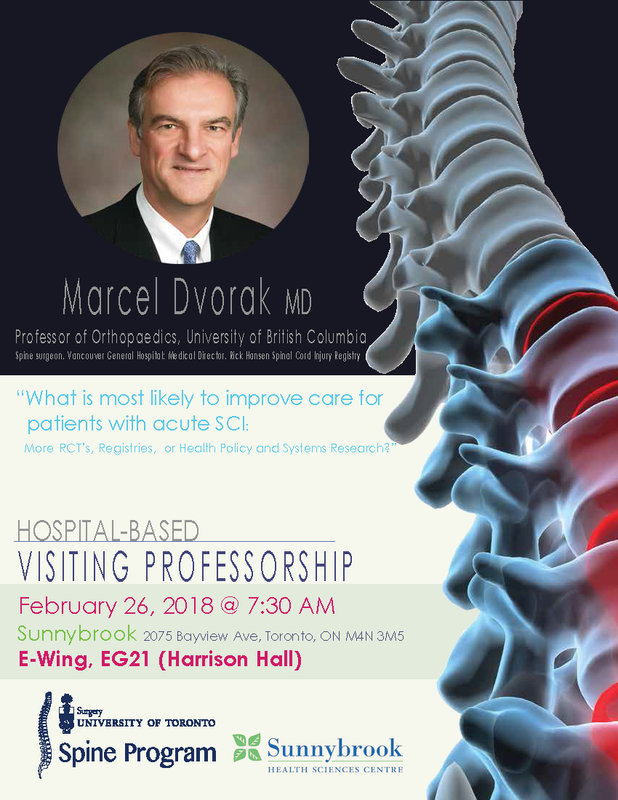 The Program and the hospital cohost world renowned visiting professors who provide lectures on spine surgery and spine research to our fellows, residents, researchers, as well as to clinical and basic science spine faculty. 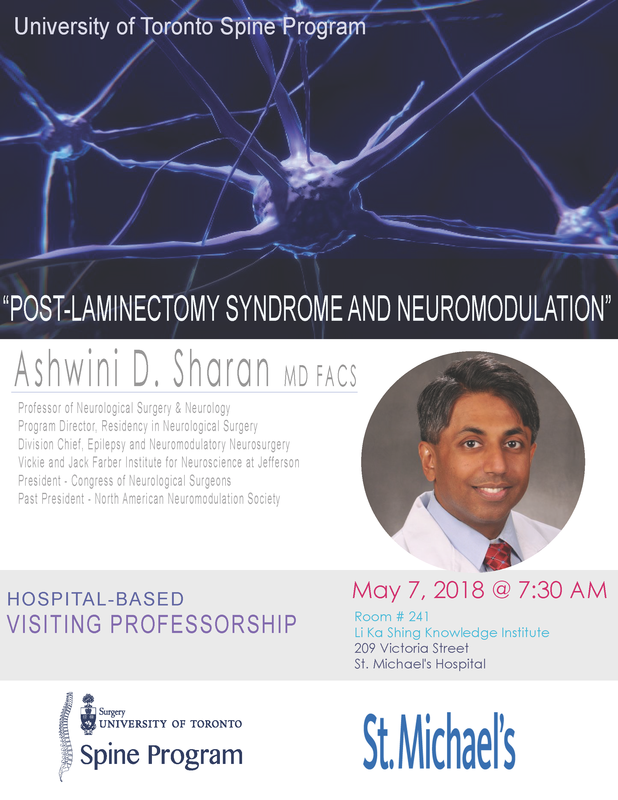 The visiting Professors also provide a talk in the evening at the UofT GTA Spine Rounds to share their personal insight on spine surgery and surgeon.